The Engineering Services Department is responsible for a wide range of engineering services to clients within the County of Ventura organization and the public. Our services include: the capital program and project management, facilities contracting, land development, flood damage mitigation, land surveying and surveyor support. The ESD is headed by Chris Cooper and it includes the County Surveyor’s Office, which is managed by Wayne Battleson, the Development and Inspection Services Division, which is managed by Ray Gutierrez, the Project Services Division, which is managed by Brian D’Anna. The Engineering Services Department also manages consultant service contracts for the Public Works Agency’s Architectural and Engineering needs. Click here for information on Contracting Opportunities for Consultants. 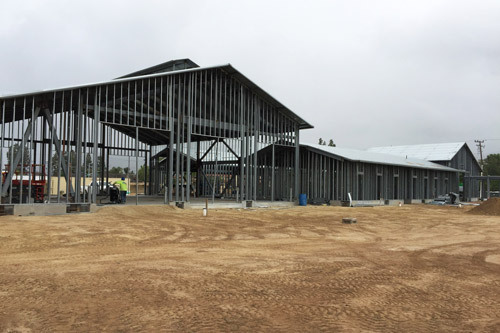 This project is constructing an 11,233 square foot, two story fire station with associated improvements on a 0.87 acre vacant site at 751 Mitchell Road in Newbury Park. The fire station includes three pull-through engine bays, office and training areas, and living quarters for nine firefighting personnel. 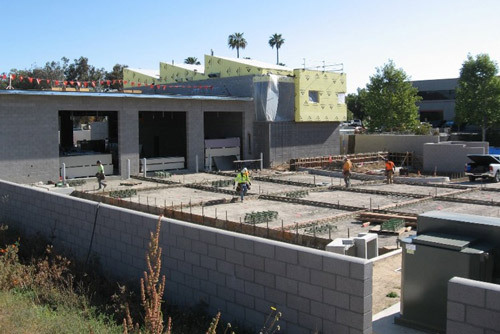 The purpose of this project is to replace an existing facility in the Newbury Park area with a fire station that meets current building codes, essential service and operational requirements. This project is complete. 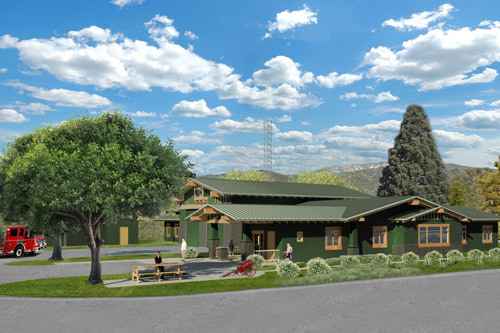 This 15,069 square-foot, single story fire station will include three pass-through engine bays, office and training areas, living quarters for nine firefighting personnel, and a garage. It will sit on a 2.65 acre vacant site. The prime contractor is Tobo Construction, Inc., of Torance California and they plan to start site work on September 12th. A groundbreaking ceremony was held on October 19, 2016. This new station replaces an existing facility with one that meets current building codes, essential services, and operational requirements. This project is complete.